If you are coming to Halifax in the summer months, there is no place like Citadel Hill. First off Citadel Hill is the highest point of the old town of Halifax and it was the first fortification that we had. In fact, Citadel Hill is one of the main reasons why the city is here. Think about it.. if you were sailing around and you found a place with a really deep harbour, and a really high hill, it would make a perfect location for a “base”. When they got here, they also realized that because the harbour was so deep, it very rarely freezes. This gave us a perfect place to set up. Today, Citadel Hill is used for a lot of different type of events, however during the summer season it is open and there are a lot of re-enactments happening all summer long. With that being said, there is one other thing that you should know… there is a noon day cannon that goes off everyday. If you are not used to it you may duck… so keep an eye or ear out for it. 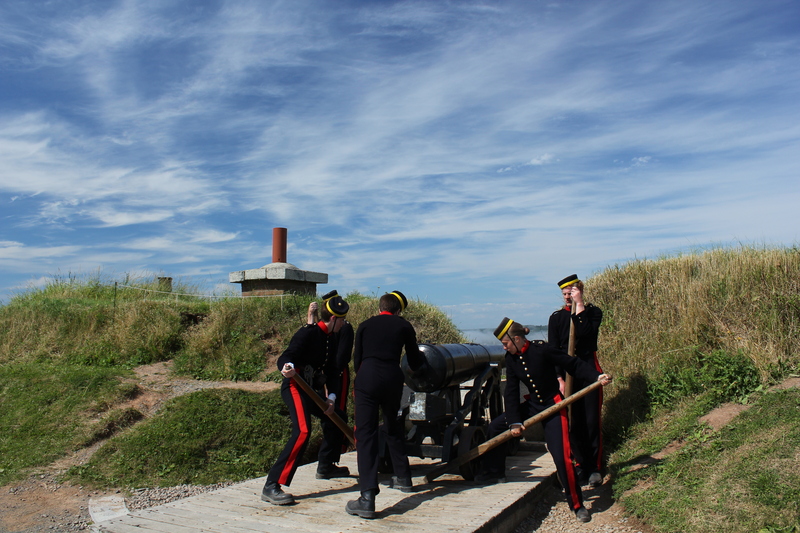 To visit Citadel Hill and inside the fortress you will need to visit during the “open seasons”. May 6 to June 30 – 9 a.m. until 5 p.m.
July 1 to August 31 – 9 a.m. until 6 p.m.
September 1 to October 31 – 9 a.m. until 5 p.m.
November 1 to May 5 – The grounds and washrooms are open from 9 a.m. until 5 p.m. Ghost Tours and other pre-arranged services are available; however, visitor experience services are limited. Seasonal May 7 to May 31 and September 16 to October 31.